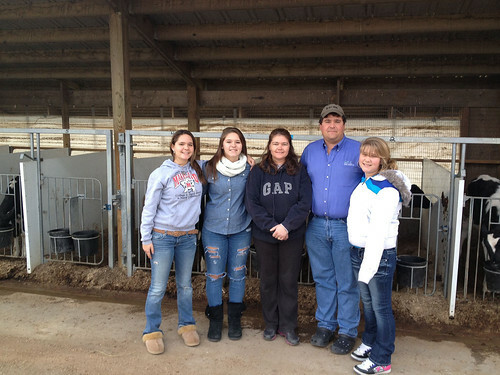 Dairy farmers Matt and Debbie Hoff with their daughters Courtney, Brook and Alicia. Photo credit: Genevieve Lister. Producing high quality, nutritious milk may be a top priority for Coldsprings Farm, but it is not the farm’s only accomplishment. Nestled between the rolling acres and lush green meadows of New Windsor, Maryland, lies a showcase of a dairy farm where owners Matt and Debbie Hoff are working with USDA’s Natural Resources Conservation Service (NRCS) to reduce runoff of nutrients and sediment, leading to cleaner water downstream. This is especially important, as Coldsprings Farm sits amid the Monocacy watershed, which eventually flows into the Chesapeake Bay. At 64,000-square-miles and holding more than 150 rivers and streams, the Chesapeake Bay watershed is North America’s largest estuary. This week, NRCS marks National Estuaries Week by highlighting the stewardship of farmers like the Hoff’s, who voluntarily use conservation practices to improve water quality in estuaries downstream from their operation. 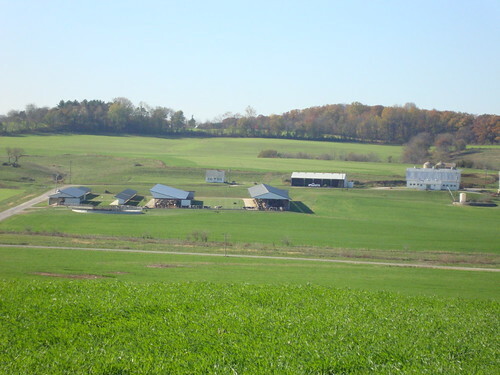 Coldsprings Farm is one of the largest family-owned dairy farms in Maryland, with a herd of 1,100 Holsteins, in addition to 2,200 acres of crops. Five generations of the Hoff family have farmed this land, using manure management practices, no-till, cover crops and riparian buffers to minimize runoff of nutrient and sediment while maintaining a productive farming operation. NRCS worked with the Hoff family to build a manure storage structure, which they use to contain manure that can be used as fertilizer when the time is best. Photo credit: Genevieve Lister. With a large herd comes a lot of animal waste. 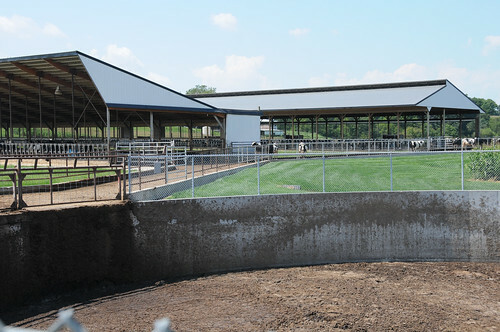 To ensure the waste from their growing herd does not leave the farm and enter into local waterways, the Hoffs recently constructed a manure storage structure, with assistance from NRCS and the Environmental Quality Incentives Program (EQIP). The structure was built with a roof runoff system to ensure that clean water is kept clean and is directed to a suitable outlet. They also are using a practice called heavy use area protection, which helps keep soil in place in areas with a lot of cattle traffic. With proper storage, the Hoff’s can use the manure as valuable fertilizer on their crops, applying it at the optimal rate and time. They use an aerator to incorporate the manure directly into the soil. This ensures the crops take up the nutrients with minimal leaching and runoff. Dairy farmers Matt and Debbie Hoff worked with USDA to reduce runoff of nutrients and sediment on their New Windsor, Maryland dairy farm, leading to cleaner water downstream. The conservation ethic runs deep in Matt and Debbie’s family, who started farming the land in 1869. Matt’s father, Marlin, travelled the countryside as a young boy and was inspired by the exemplary care some farmers took of their animals and land. Marlin stopped tilling a few of his crop fields in the early 1970s, and by the early 1990s, the farm was 100 percent no-till. The Hoff’s were also early adopters of cover crops, growing small grains, legumes and grasses between their regular corn and soybean plantings. Leaving crop residue on the field and planting cover crops protects the soil and improves its structure, resulting in less runoff during storms. 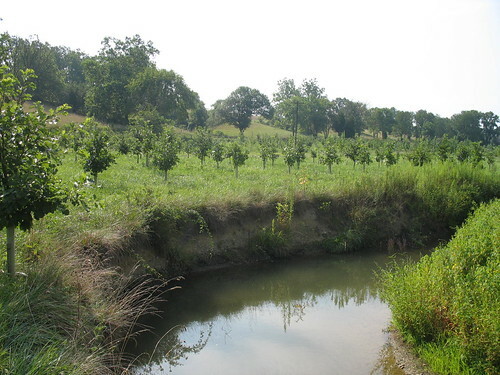 The Hoff’s planted grasses, trees and shrubs along the edges of their field to slow and absorb runoff. 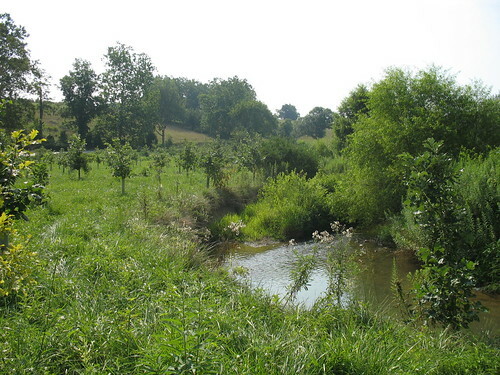 Buffer practices are critical to the Chesapeake Bay restoration effort. Matt and Debbie Hoff are just one example of the many agricultural producers who are working with NRCS to install conservation practices that lead to cleaner water downstream, protecting valuable estuaries like the Chesapeake Bay. Learn more about NRCS’ conservation efforts in the Chesapeake Bay watershed. For more on technical and financial assistance available through conservation programs, visit nrcs.usda.gov/GetStarted or a local USDA service center. Thank you to the Hoff family for being such good stewards of the land! Nice job! USDA could try to publicize everyone's good work more widely - good news does not always get shared as much as the bad. Our nation's farmers are true heros! I salute the Hoff family, for their dedication to producing healthy food for many Americans, and working to safeguard our environment! Very interesting report, thank you very much! Good to now that US-Farmers take care for the environment in that way. PS now I´m aware about Chesapeake Bay region, it seems to be a very nice and privileged, considering to have visit. Thank you for providing us with fresh milk and for going the extra mile to help protect the environment. Please keep up the great work! Great job! Nothing like a cold glass of milk and cookies! In Oklahoma, even Santa thinks so! Thank you for being good stewards and being cooperators with USDA.